One of the key factors to an adult’s dental health is the level of care he or she receives as a child. Pediatric dentistry continues to undergo changes as new information becomes available and practices change across the industry. 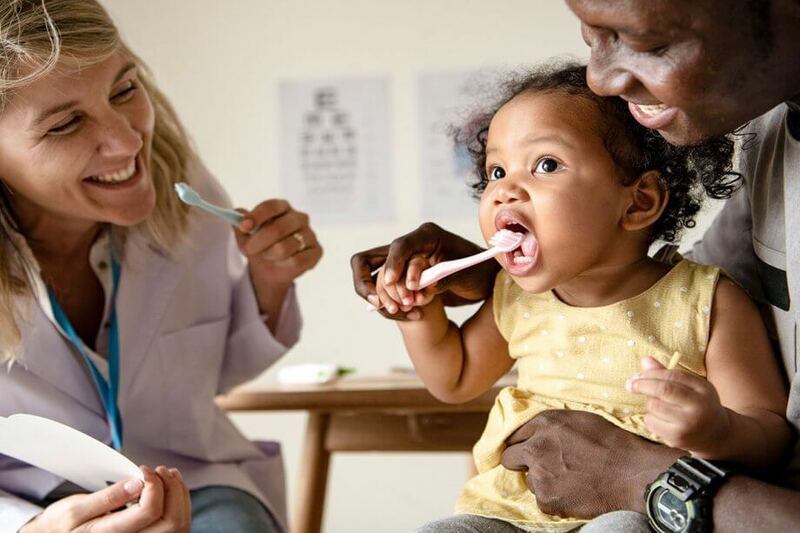 If you have a child, you will want to keep up with these changes to see how you can help your child have better oral health for a lifetime. Here is a look at the state of children’s dental health and how you can help. One of the more positive changes to children’s dental health that is having an amazing impact is Children’s Dental Health Month. It covers the month of February and focuses on getting kids involved in better dental health practices. Many organizations participate by providing learning resources for kids, as well as activities that can help parents teach their kids good habits. If you want to help, spread the information made available during Children’s Dental Health Month. Andover Pediatric Dentistry offers Oral Health Presentations for schools during the month of February. For the last ten years, we have visited many preschool and elementary schools in the Merrimack Valley area. Children seem to be prone to developing cavities for a variety of reasons. However, new developments in dental health make it possible to use sealants to prevent cavities. The sealant covers your kids’ teeth and helps to prevent the usual causes of cavities from interacting with your kid’s teeth. The sealant is clear, tasteless, and can be applied quickly by a dentist. It is long-lasting and can significantly reduce a child’s chances of developing cavities. If you want to help improve your child’s dental health, talk to your dentist about having a sealant applied to your kid’s teeth. It will continue to protect against cavities for several years, which significantly reduces the chances of having a cavity. This is especially important on the back molars since that is where most kids get cavities. One of the most effective ways to improve the oral health of your children and your whole community is to talk about water fluoridation, or having water added to your community’s water source. Many areas use water fluoridation to reinforce the communities teeth health. Fluoride is known to be able to strengthen the enamel on our teeth and helps to prevent cavities. If you want to help, talk to your community about water fluoridation and do your research. Since it can have a positive impact on the entire community, it is an idea worth being explored openly and with plenty of due diligence. It is a change that can have positive effects for generations to come. The foundations of good oral health are formed at an early age. Anything that you can do to help your kids develop better habits can impact the rest of their lives. That is why it is so important to take action to improve children’s dental health. If you are ready to start your child’s journey toward a lifetime of dental health, contact Andover Pediatric Dentistry today at 978-296-4964 (Andover office) or 978-682-3342 (Lawrence office).